Room 13 HCMC’s band have recorded their new song and have shared it with us. If you have a spare few minutes have a listen and tell us what you think! An opportunity for artists of any age looking for new ideas or inspiration. Work along side professional Room 13 artists and soak up the unique creative atmosphere in our open studio. 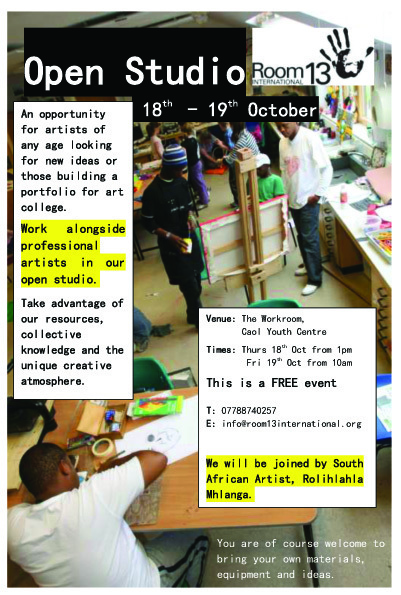 This is a free event at Room 13 Community studio, Caol Youth Centre. 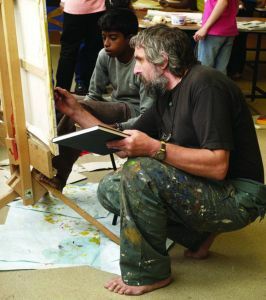 Rob Fairley held the position of Artist in Residence at Room 13 Caol from 1994 – 2005 and is well known as the founder of Room 13. After graduating from Edinburgh College of Art in 1975, Rob briefly took up residence in Mallaig, before moving to Moidart, where he enjoyed nearly four years as the sole human inhabitant of a remote island. Life on the island enabled him to embrace an exploratory approach to art-making and its effect on the environment, and instilled in him an all encompassing, holistic approach to arts practice, which set the foundation for his career and future work. His outspoken views on the importance of early arts education and visual literacy landed him in the role of volunteer arts specialist in Acharacle Primary School and it was this experience which led to his being appointed as Artist in Residence at Caol Primary School in 1994. 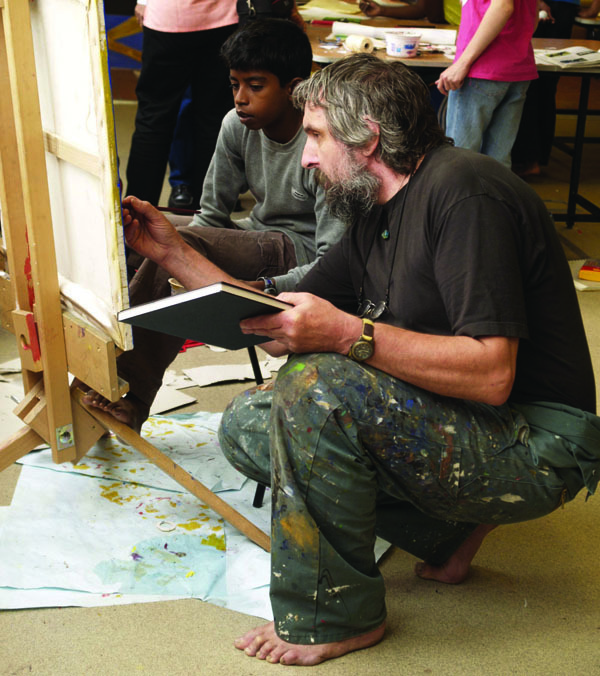 Now with over 30 years of experience as an artist and educator, Rob has effectively passed on his conviction for fine art and philosophical enquiry as the basis for all education through the international network of Room 13 studios, which have sprung up as the ethos that emanated from Room 13 Caol in the 1990s has been embraced and put into action by schools and communities worldwide. It is Rob’s ongoing commitment to the principles that landed him in Acharacle Primary all those years ago that he brings forth as a trustee to Room 13 International. Rob remains outspoken but constantly in favour of the many young artists worldwide who strive to uphold the ethos of Room 13 and see its widespread application as essential to the wealth and health of society.